Out for a Saturday ride with no real destination. 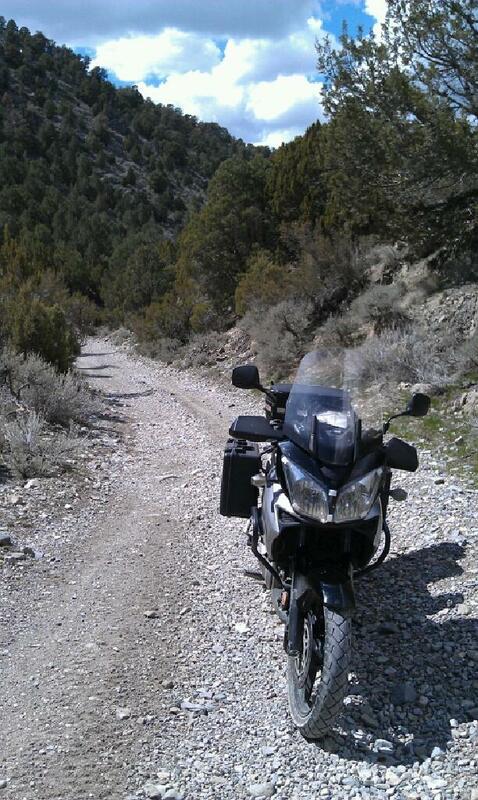 I wind up by the town of Vernon and start following dirt roads to ...who knows where? Total dirt riding for the day was around 35 miles, more than enough for me. I forgot my camera so these are taken with my cell phone cam. 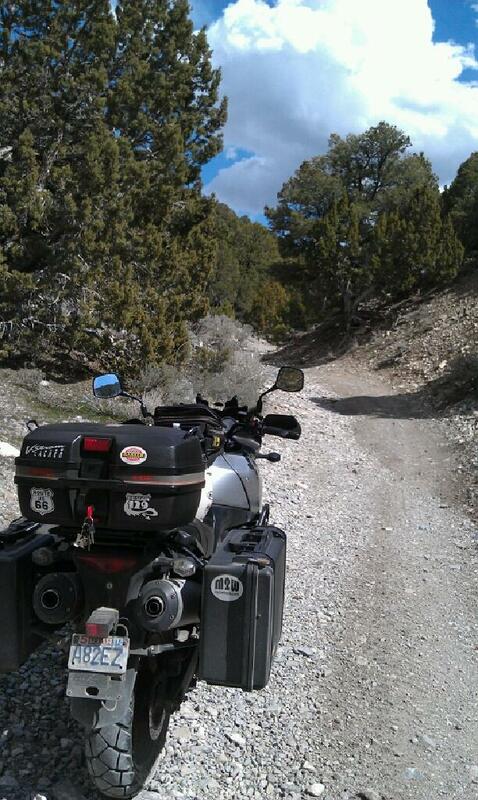 The Black Rock Canyon road. While I was stopped here a guy in a Toyota FJ crawled around me and kept going up the hill. This is far enough for my dirt skills, I do a 400 point turn-around here. After that road I decide it's time to head for home, but when passing through Eureka I see this hole-in-the-wall deli. It is small, different, and not crowded.....just the way I like em! They have a menu of several sandwiches. The owner told me, 'if you want something not on the menu, I'll try to fix it for you..'. But, I just got the burger - they made certain it was fixed the way I wanted it. My face and hands were a mess when I was done....so you know it was good! They have a unique gift shop. 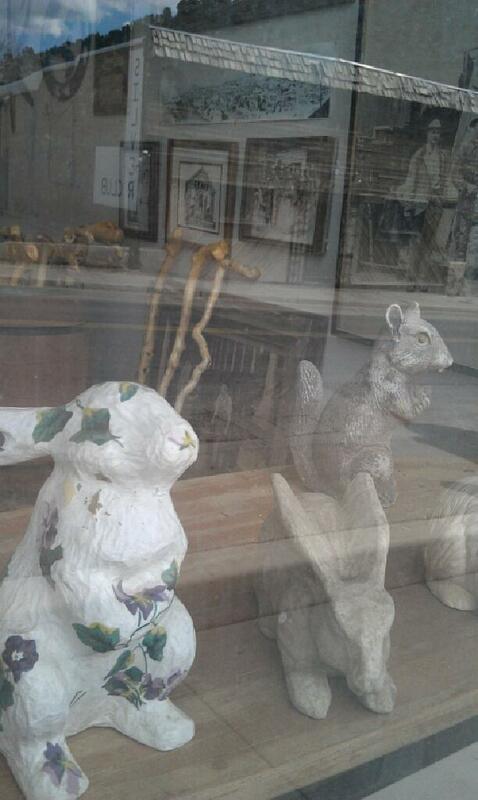 This photo is from outside on the sidewalk.﻿There are lots of other interesting things to see on a stroll through this quaint old town. 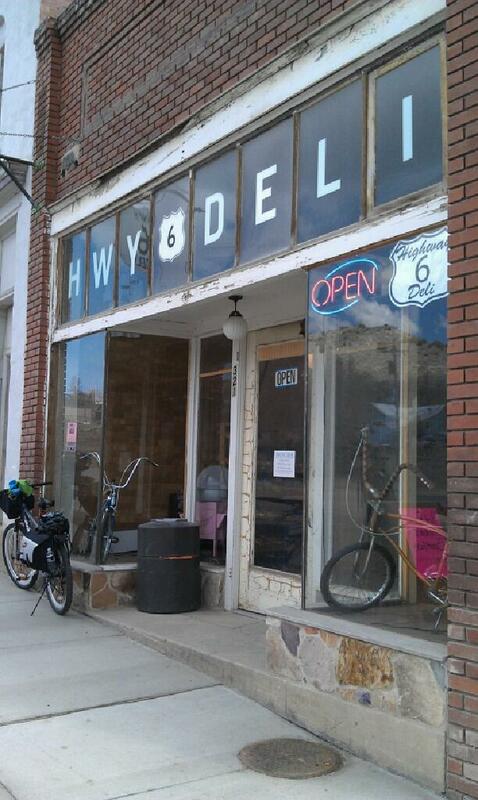 The Highway 6 Deli. Eureka, south end of town...worth the ride! Not a lot of miles, a tad under 200, but a fun and tasty day! No, I haven't had a spooky premonition, or a feeling of imminent demise. But after my recent mis-adventure on my beloved Gen, this poem filtered up through my motorcycle addled brain and landed on the computer screen. spruce up your hair and dress in your best. trust me - I can think of far worse ways to die. been smelling the roses, and content in my own space. (hopefully I was just wandering with no destination or goal). If I die on a bike you can bet I was happy. Ohhh, I could go on with all kinds of sappy. to make you smile, though I admit losing me will be tough! 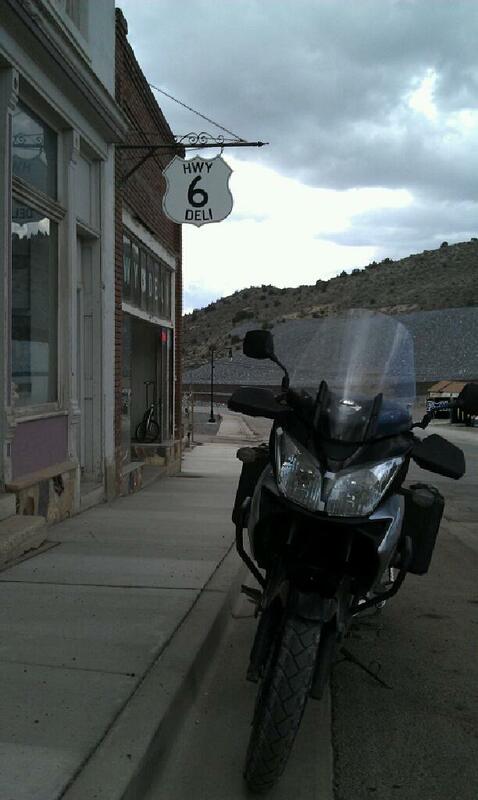 If I die on a bike, it means I was feeding my travelers lust. Yes, I freely admit it’s the journey and not, "get somewhere or bust." If I die on a bike please, give decorum and reverence a short rest. Oh, I know we should always keep our behavior at its very best.